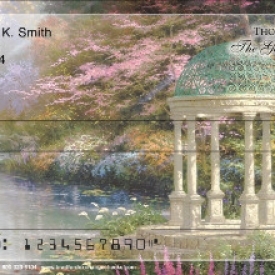 Thomas Kinkade checks feature the artwork of the Painter of Light. 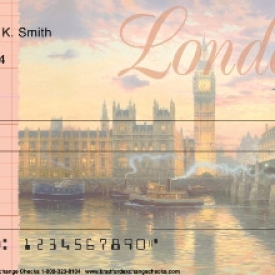 From lighthouses to cottages to beautiful gardens, these checks are literally works of art. The best part is that you can carry them in your purse wherever you go. 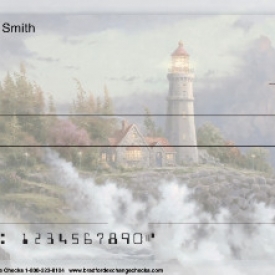 Each check is imprinted with scenes featuring serene settings and soft light for which Thomas Kinkade is famous. 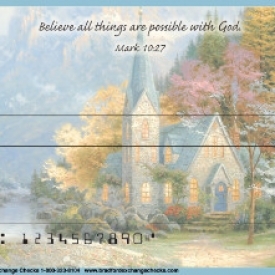 Most collections have 4 different scenes centered on a specific theme. 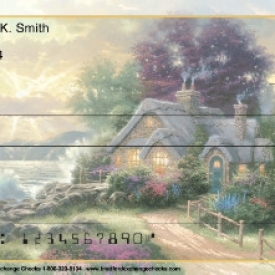 The Best of Thomas Kinkade checks collection features twice as many with 8 different scenes compiled from the other collections. 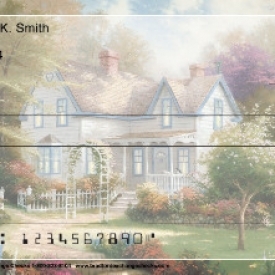 Pair your Thomas Kinkade personal checks with checkbook covers and address labels. Or, carry them in these adorable wristlet purses. 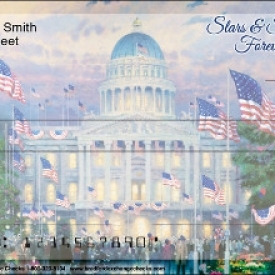 All feature Thomas Kinkade artwork. 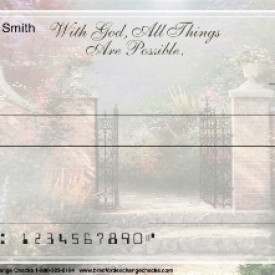 All are currently available through Bradford Exchange Checks and the Bradford Exchange.